Contracts for all materials, equipment, and services required for Nord Stream-2 pipeline construction have been signed, Russia's energy giant Gazprom said on Friday, TASS reports. "Preparation for gas pipeline construction start is in full swing. Contracts were executed for the time being for all basic materials, equipment, and services needed to implement construction work," the company said, according to TASS. Read alsoU.S. 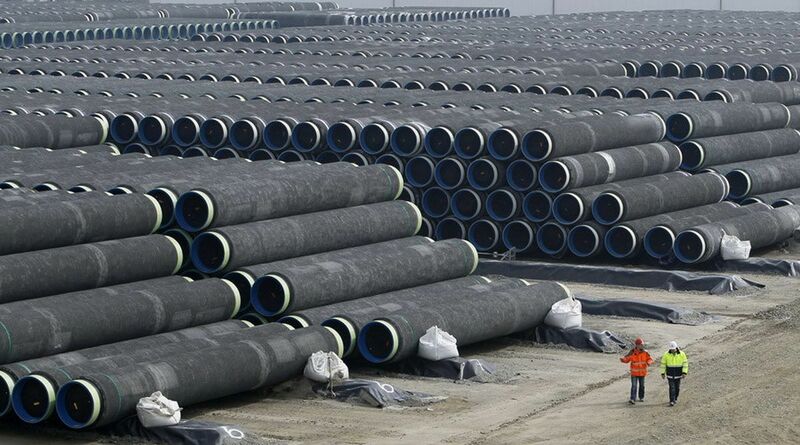 concerned of Nord Stream 2, Turkish Stream construction bypassing UkraineThe company noted that at the moment the registration of permits is underway. The results of the national reports on the project's environmental impact assessment have been presented to the authorities in Germany, Denmark, Finland, and Sweden. In said countries, applications have also been submitted for obtaining permits for the construction of the relevant sections of the pipeline. Read alsoNaftogaz CEO: Contracts with Gazprom not worth paper usedGazprom board members expressed confidence that the Nord Stream-2 pipeline would come into service by late 2019. As UNIAN reported earlier, in early September 2015, Russia's gas giant Gazprom, Shell, OMV, and E.ON SE signed a shareholders' agreement on a joint project company, which would be engaged in the construction of the Nord Stream 2 gas pipeline. The latter is expected to complement the already operating Nord Stream 1. Read alsoGazprom continues lobbying across Europe for gas transit lines bypassing Ukraine - NaftogazAt the end of April 2017, Gazprom and its European partners signed an agreement on the financing of the Nord Stream 2 project. According to Naftogaz CEO Andriy Kobolev, Nord Stream 2 in no way contributes to the diversification of gas supplies to the EU and does not provide the European Union with access to new sources of gas. Moreover, the pipeline could deprive Ukraine of transit revenue, which is expected to reach about US$3 billion by the end of 2017. UNIAN memo. The Nord Stream 2 project involves the construction of two strings of a gas pipeline with a total capacity of 55 billion cubic meters of gas a year from the Russian coast via the Baltic Sea to Germany. A new pipeline is expected to be built next to Nord Stream 1.